Syon, D. and Yavor, Z. 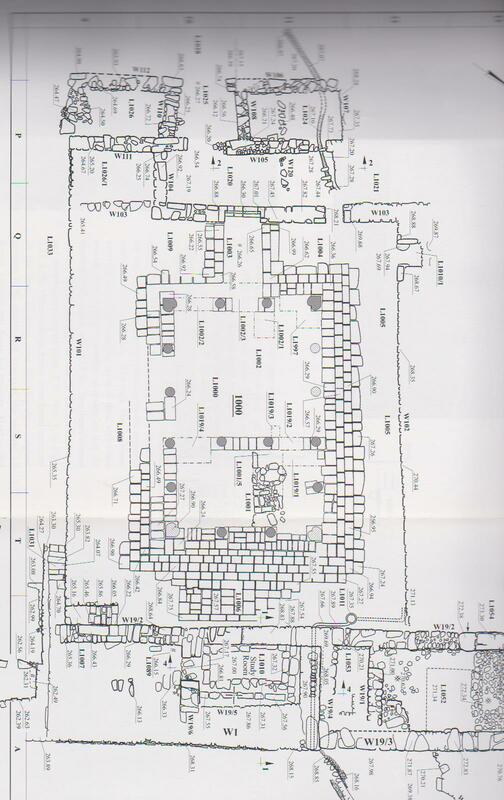 "Gamla — Old and New" Qadmoniot: A Journal for the Antiquities of Eretz-Israel and Bible Lands 121, 2001: 2-33, (Hebrew). 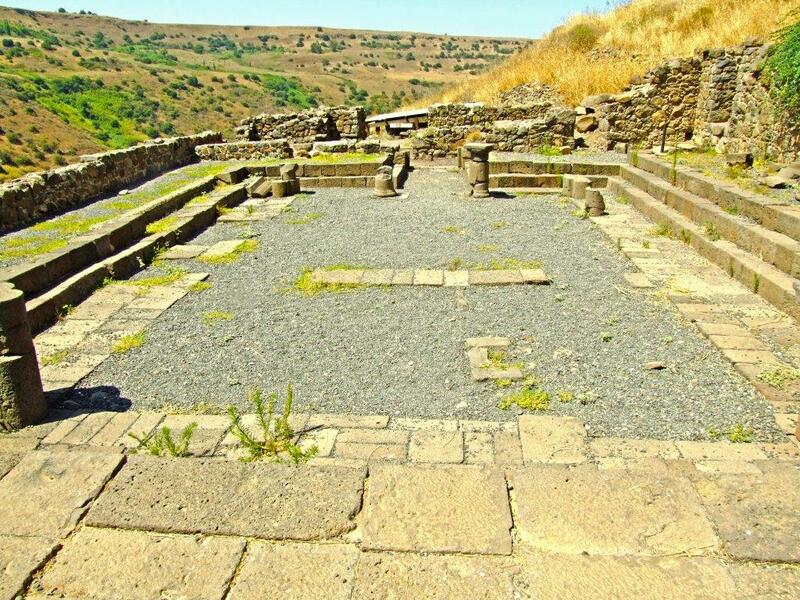 Gutman, S. "The Synagogue at Gamla" in Ancient Synagogues Revealed. ed. L.I. Levine, Jerusalem, 1981: 30-34. 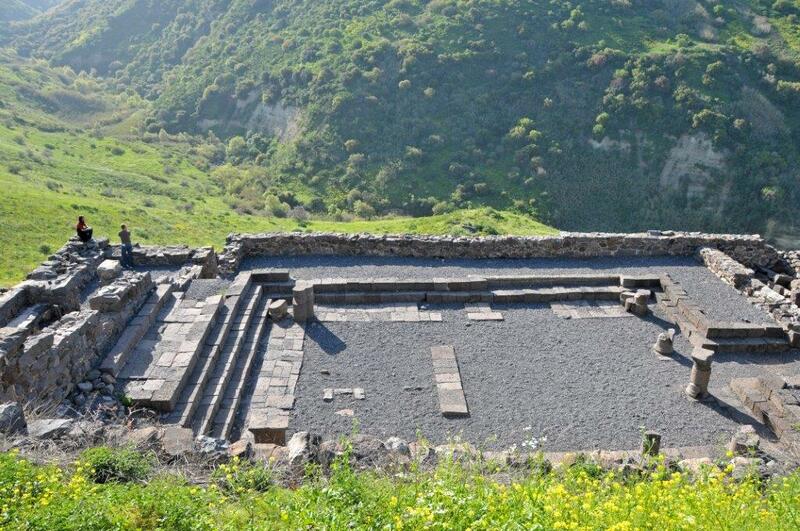 Hachlili, R. Ancient Synagogues - Archaeology and Art: New Discoveries and Current Research. Leiden and Boston, 2013: 26-28. 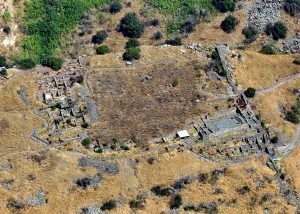 Maoz, Z.U. 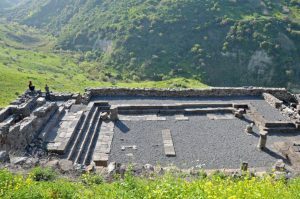 "The Synagogue of Gamla and the Typology of Second-Temple Synagogues" in Ancient Synagogues Revealed. ed. L.I. 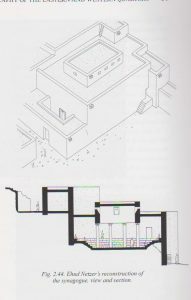 Levine, Jerusalem, 1981: 35-41. 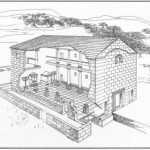 Maoz, Z.U. "Four notes on the excavations at Gamala" in Tel Aviv. 39; 2, 2012: 230-237. 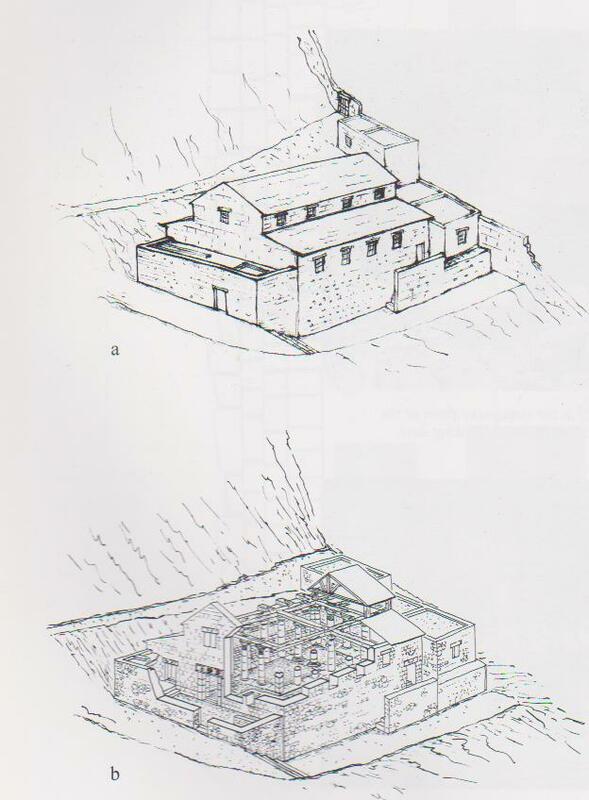 Milshtein, F. "A Graphic Reconstruction of the Gamla Synagogue" in Gamla II; The Architecture. 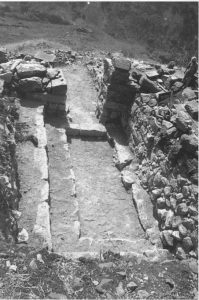 The Shmaria Gutmann Excavations; 1976-1989. ed. D. Syon and Z. Yavor, IAA Reports; No. 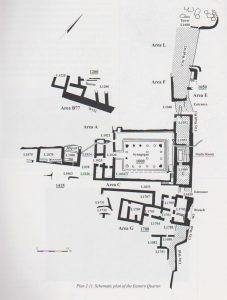 44, Jerusalem, 2010: 189-191. 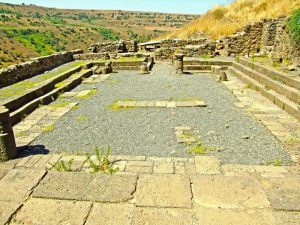 Peleg -Barkat, O. 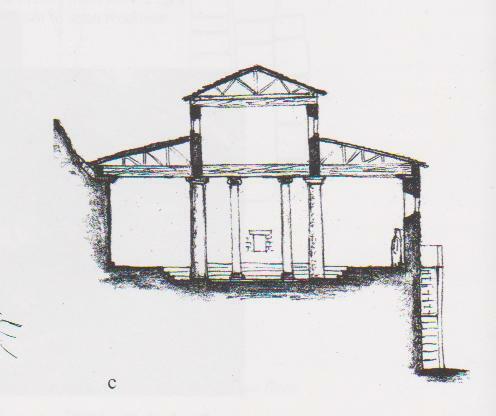 "Architectural Decoration" in Gamla II; The Architecture. 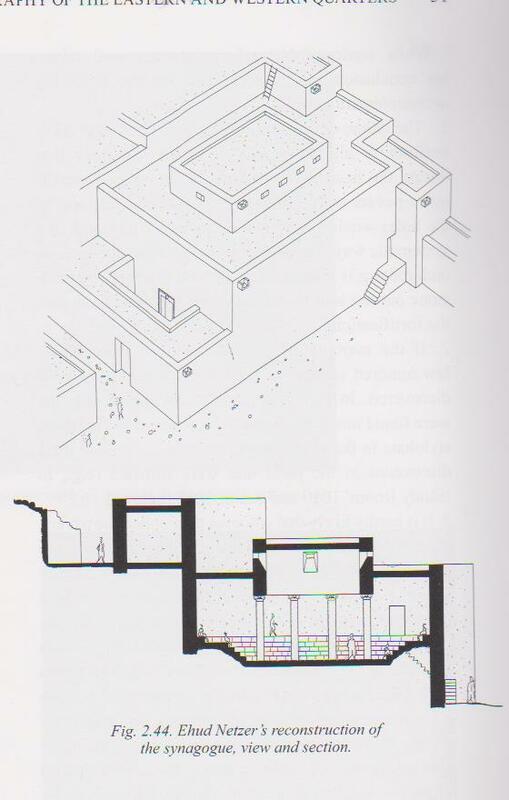 The Shmaria Gutmann Excavations; 1976-1989. ed. D. Syon and Z. Yavor, IAA Reports; No. 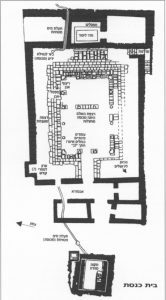 44, Jerusalem, 2010: 159-174. Spigel, C.S. Ancient Synagogue Seating Capacities. Tubingen, 2012: 75-90. Yavor, Z. 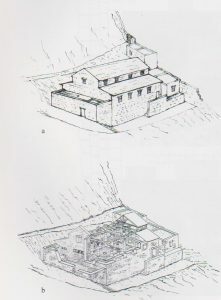 "The Synagogue and Miqveh Complex" in Gamla II; The Architecture. 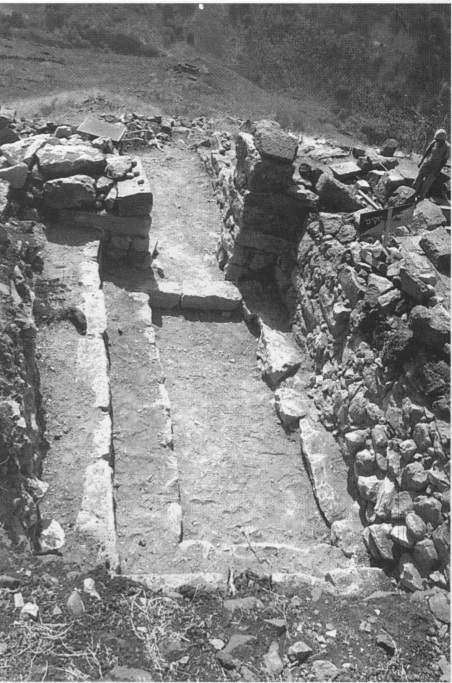 The Shmaria Gutmann Excavations; 1976-1989. ed. D. Syon and Z. Yavor, IAA Reports; No. 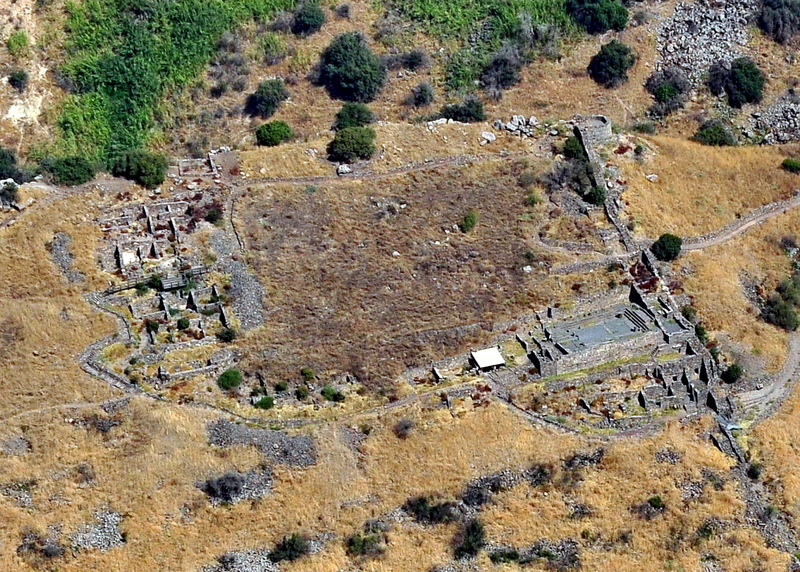 44, Jerusalem, 2010: 40-61. 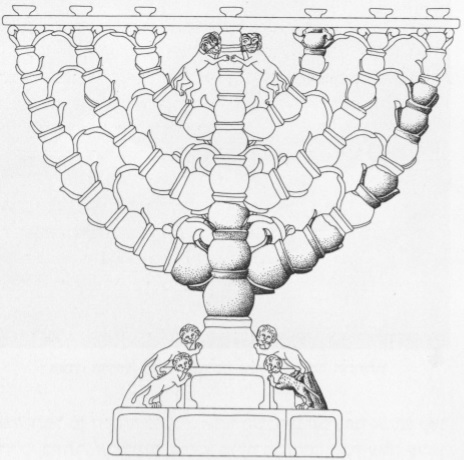 The Study Room | Syon and Yavor 2001: 11. 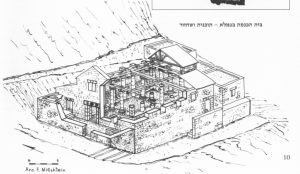 Courtesy of the Israel Exploration Society. 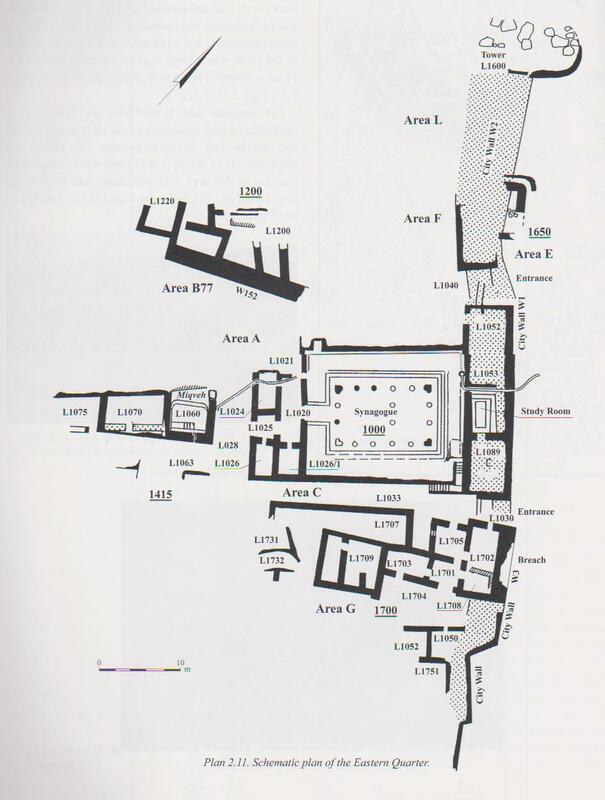 Plan | Syon and Yavor 2001: 10. 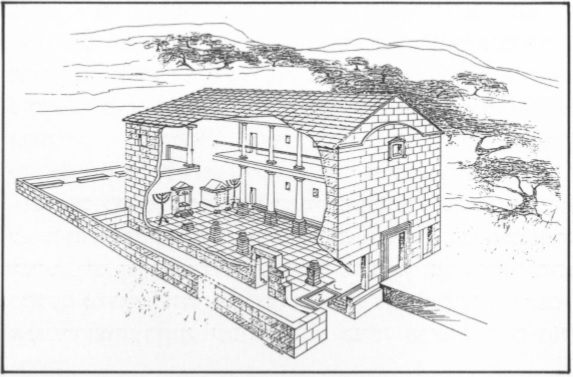 Courtesy of the Israel Exploration Society. 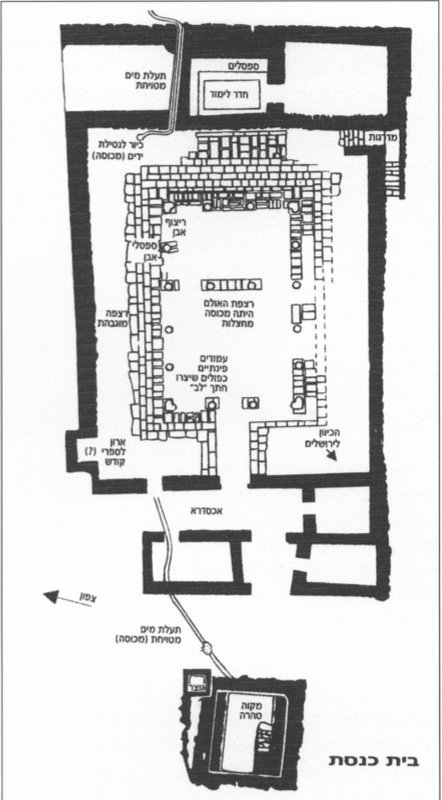 Reconstruction | Syon and Yavor 2001: 10. 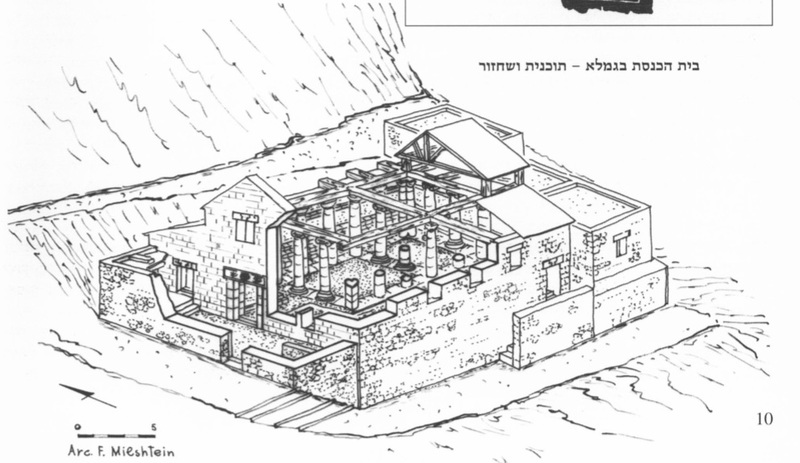 Courtesy of the Israel Exploration Society.